DistaCart now takes another step forward to fulfil the demands of its customers. The company has now started taking orders for customised products. For example, if there is need of special boxes of sweets on weddings or sets of silver jewellery, buyers can provide their orders by calling or emailing the company. DistaCart assures of fast delivery of the items just within 2-5 business days. 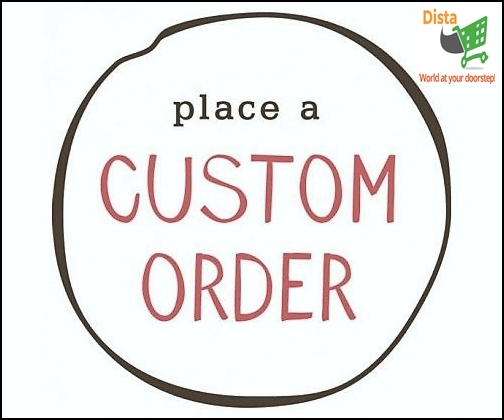 Buyers need to make a partial payment to get the customised items delivered. If any item is not permissible by customs or law and the same cannot be delivered, the buyer will be informed about the same within 24 hours of placing the order. The site owner, Mr. Kiran Kotla informed that the main objective of his company is to provide all types of traditional Indian handicrafts, food items and jewellery to the Indians living in USA. In this pursuit they have entered into partnership with several big Indian brands like Mithaiwala, Karachi Bakery, Dauds, Almond House, Vellanki Foods and Pulla Reddy. The company is also providing products in gift wraps which can be directly sent to the recipient along with a personalised message. If the users face any problem with the custom order they can seek assistance at the 24*7 chat service available at the site. DistaCart started its journey this year in August. The company gained immense popularity amongst the Indians living in USA due to the availability of sweets, pickles and cookies from top Indian brands. Now the company is gradually expanding its business and entering the western apparel market with Meya’s Boutique. It’s decision to accept custom orders is an innovative approach and can turn out to be a big revenue generator for this e-commerce site.